While my river slowly takes shape night after night, I was free to get in some gaming. 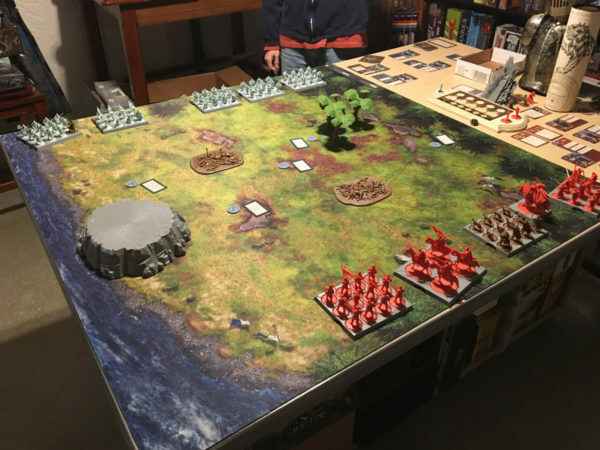 This time, we broke out A Song of Ice & Fire Minis to get in our first game in quite awhile. I’m focusing on Lannisters and was excited to try out some of the Kickstarter figures I hadn’t been able to put to the table due to all the learning games I played at home and at Gen Con.